Maybe I am a bit of a nerd, but the fact this is the world’s most northerly capital city and is right on the edge of the Arctic Circle impresses me. 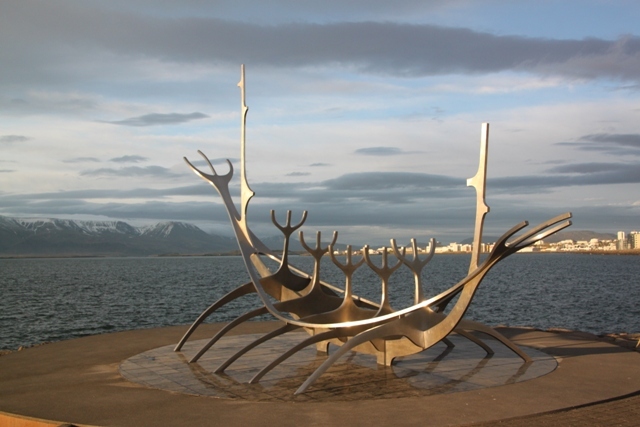 If that doesn’t rock your boat, when you see Reykjavik – set beneath snow capped mountains with the waters of the Atlantic lapping at its shores you will drool. I promise. The setting of this city is just glorious, strolling along the water’s edge is a feast for the eyes and climbing to the top of the Perlan gives you breath-taking views in all directions. I loved all the shops – including the touristy type offerings. Laugavegur – the main street – has loads of places offering puffin or volcano themed souvenirs (not as bad as they sound). All of them were tasteful, a little bit quirky and had good quality stuff for sale. For clothes, I loved 66 Degrees North – apparently they started out catering for Arctic fishermen, now they have the most wonderful (and expensive) warm wintery clothes you will find anywhere. If you spend more than 4,000 kroner in any shop (at one time) you can get a refund at the airport for the Icelandic tax – great idea. 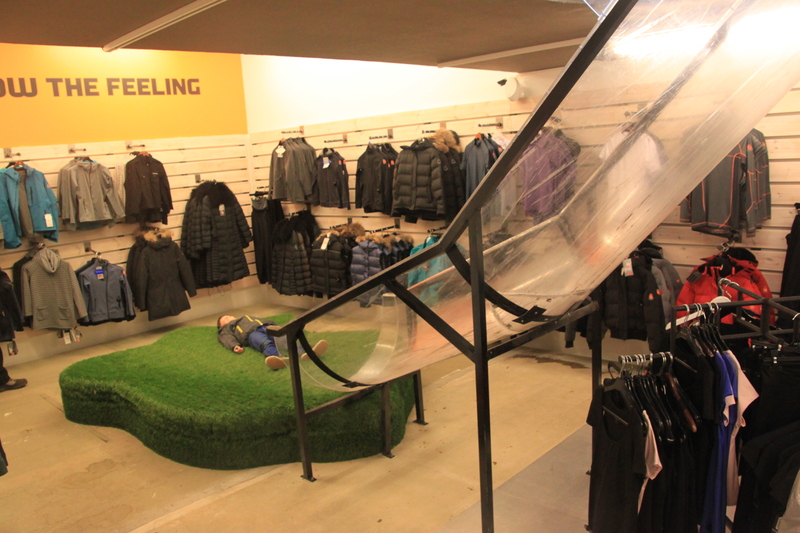 We loved this shop on the main street – use the stairs or the slide to get to the basement. Almost constant daylight in summer – how fantastic is that. It is so exhilarating and seems to perk you up and give you lots of energy. We loved the lack of darkness, but getting a 9 year old to bed every night while it was still bright threw up a whole host of new challenges. This picture was taken at 11pm on a dull day. The choice of restaurants in the city is first class. There is just about every type of cuisine you can think of. Everywhere we ate served food of the highest quality, with fresh ingredients and always innovative presentation. Restaurants range from expensive to super-expensive to blow your mind prices. We found some at the bottom range, but quality did not suffer at all. 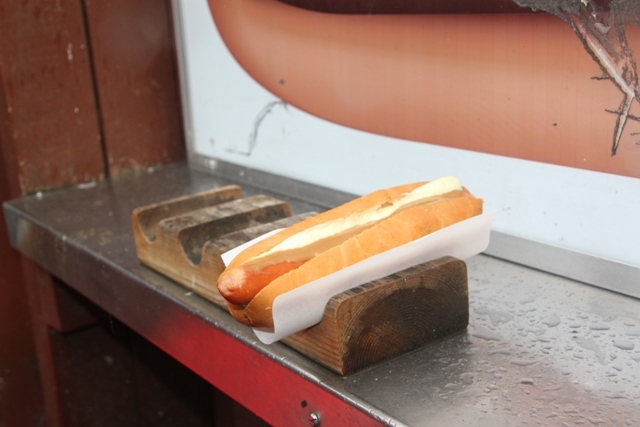 Be sure to frequent the hot dog stand – these have to be the best on the planet. 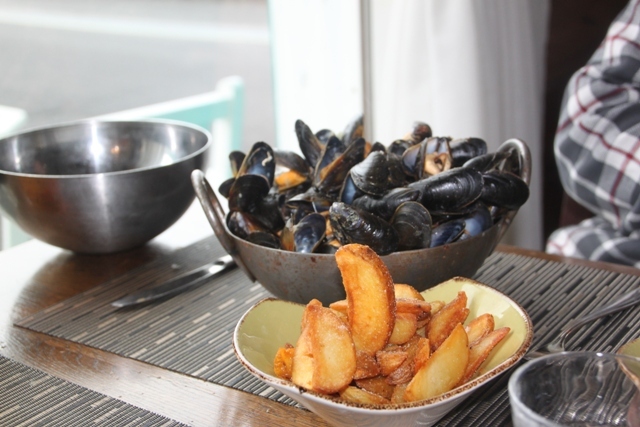 Also try the minke whale – not sure I would again, but it is worth sampling. 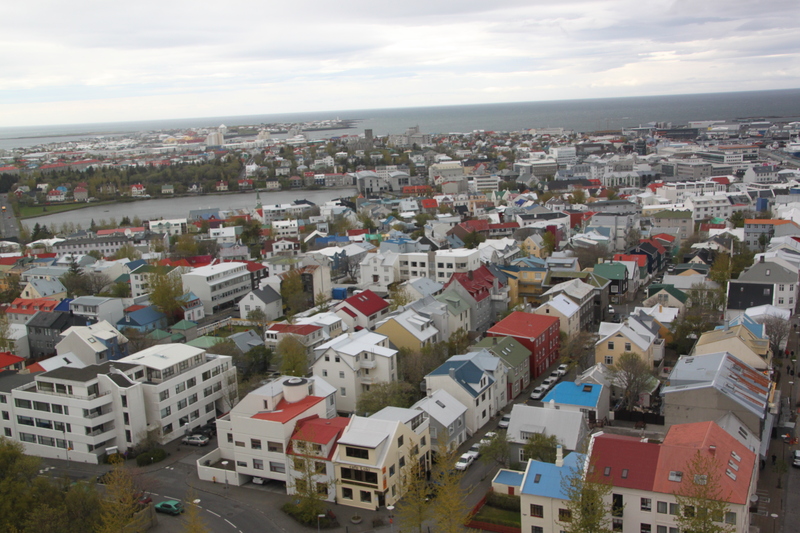 Reykjavik is such a manageable city. Most places you want to visit are within easy walking distance of the centre. We stayed on the top end of the main shopping street, it was only 15 minutes walk to the harbour. You don’t need a car or public transport in the city – just a pair of comfortable shoes and you can see everything. The long, scenic pathway which circles the whole city and goes along by the sea is such a beautiful place to walk. 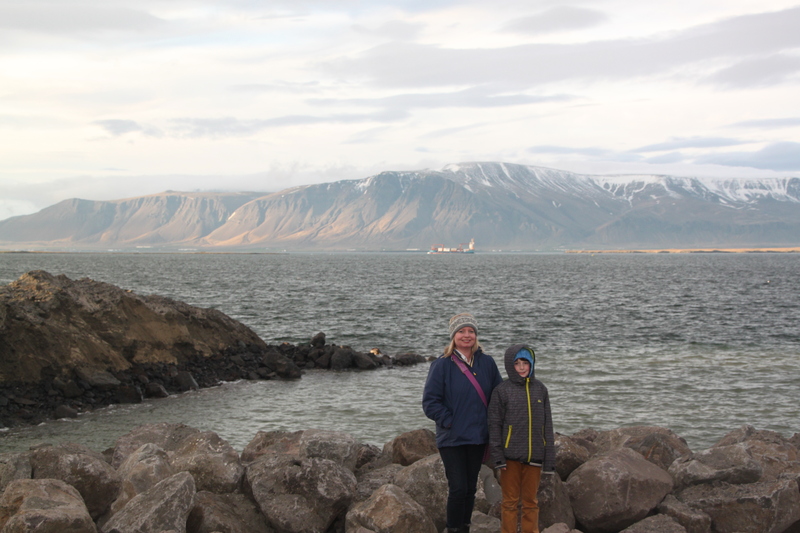 Views of Mount Esja – gorgeous. Right on the west coast, it is perfectly placed to explore some of this country’s natural wonders. There are waterfalls, volcanoes, hot springs, lava fields and a glacier not so far away. In a day you can go from the city, to these fabulous places and back again. The air is fresh, clear and unpolluted. The water is pure spring water – the cleanest you can get. It’s a great place to party (if you want to), but is peaceful (if you want this). You can swim outdoors, whatever the weather, in one of the numerous thermal pools or even on the geothermal beach. Reyjkavik is nothing like any other capital city I have ever visited. There are no big, fancy, grand squares. There are no skyscrapers or impressive monuments. There are no real historic buildings. Instead though you get the most beautiful landscape you can imagine, really friendly people and it’s a bit like a charming village with big city energy. I loved it all (except for the stinky showers). 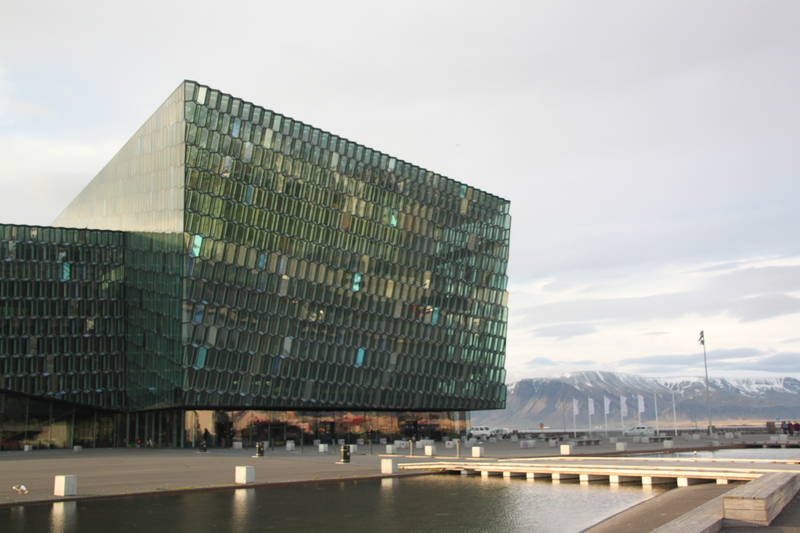 I love the buildings, Iceland has always been on my bucket list. Did you get to see the Aurora Borealis? No, when we were in Iceland it was midsummer and almost constant daylight. We have been to Finland in winter though but never managed to experience it (unfortunately)!! We are planning a trip to Iceland this year..Now I am looking forward to our trip all the more after reading your post! Good write up. It’s such an amazing and different place to visit, we loved every minute of our trip – sure you will too!! Loved every bit my trip to Iceland. Reykjavik is marvelous! We did too – it’s a wonderful city and an amazing country!